API Management solutions aim to make it simple for even the most security-conscious organizations to open their information assets for use by partner organizations, third-party developers, mobile apps and cloud services, without impacting data security or the performance of backend systems. Full-featured API Management solutions also provide functionality for managing the developers who build applications that leverage enterprise APIs. 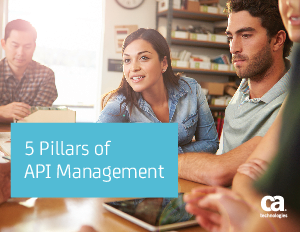 This white paper details the 5 essential pillars of API management and which components are required for effective, enterprise-level API Management. Download now to find out more.